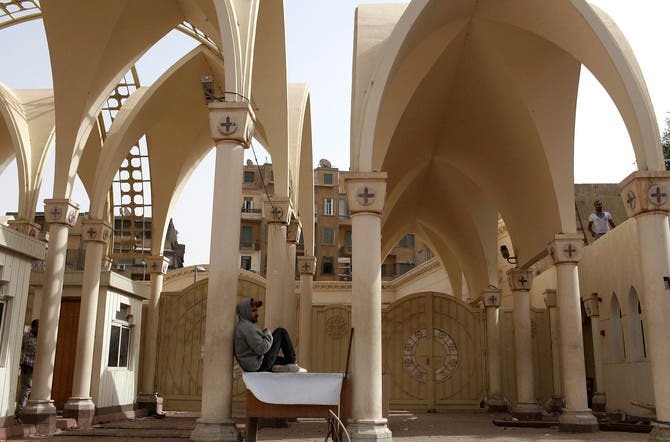 A statement on Tuesday by an Egyptian presidential aide accusing Christian Copts of being the cause of Monday’s clashes near Cairo’s Abbasiya Cathedral has caused public outrage. Issam al-Hadad, the president’s assistant on foreign affairs, published the statement on Facebook, saying that during a funeral of Christians on Monday, some angry mourners attacked passing cars. This led some people near the cathedral to open fire and throw rocks, which escalated into an exchange of gunfire, he added. Clashes broke out on Monday between Muslims and Christians during a funeral of four Christians killed in sectarian violence the day before in the town of al-Khsoos. Monday’s clashes killed two and injured 89, security officials said. A meeting was held Tuesday between presidential and cathedral delegates to discuss the recent clashes, during which the presidential delegation repudiated Hadad’s statement, saying it only expressed his personal opinion. “Issuing statements that are then denied by the presidency clearly shows confusion in presidential performance,” said Egyptian journalist Abdullah al-Sinawi. Hadad’s statement shows the sectarianism that Egypt is experiencing under Muslim Brotherhood rule, Sinawi said, adding that the aide should have kept silent until results of an investigation are announced. Hadad’s statement is irresponsible, and the Brotherhood and government do not consider the country’s interests in their calculations, said Margaret Azar, secretary general of the Free Egyptians Party. The Brotherhood is seeking to fuel sectarian strife, Azar said. Hadad’s statement may push extremists to once again attack Copts and the cathedral, so he must be punished, she added. It is unacceptable for a prominent official such as Hadad to issue such a statement, then have someone else tell the people that it only represents his opinions, Azar said. Hadad’s statement only adds fuel to the fire, former MP Mustafa Bakri wrote on Twitter.